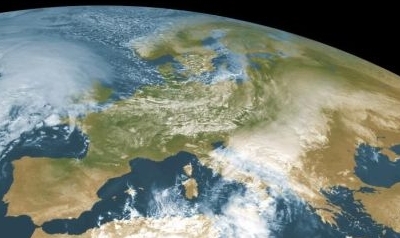 How do satellite data enable to differentiate between types of clouds ? Satellites can measure electromagnetic radiation. The visible channel measures the reflected radiation of the atmosphere and the Earth surface. Because clouds of waterdrops reflect light quite intensively, they appear very light in the visible channel. Clouds of ice cristalls especially absorb in the infra-red channel and appear dark. Module 6 - Understanding spectra from the Earth ! Cloud formation over Europe. 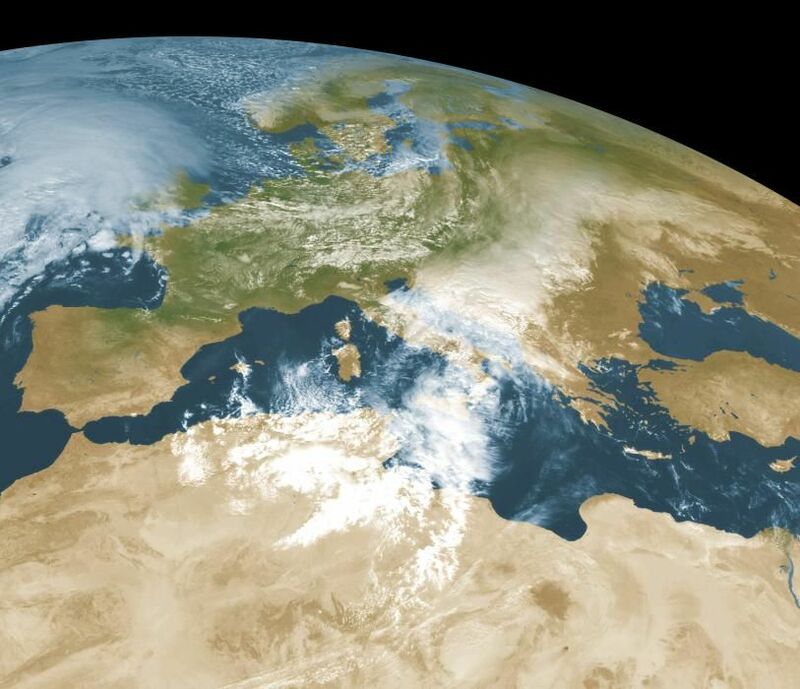 Source: EUMETSAT 2008.